A chance seedling that first bloomed in 1945, originated and propagated by Wheeler's Nursery, Macon, GA, for introduction in Fall, 1962 or 1963. Bloom: The formal double flowers, similar to 'Alba Plena', are 4 to 4.25 inches in diameter and have 72 petals. 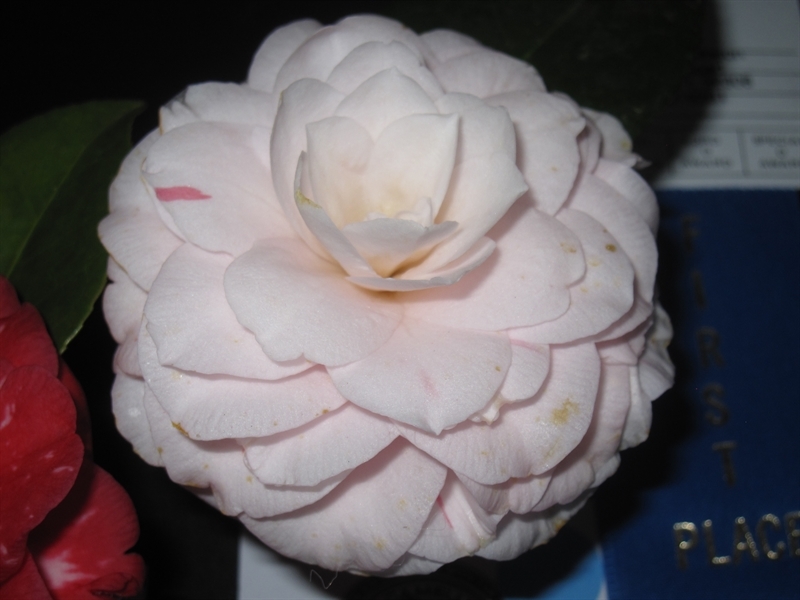 Color is light pink with occasional deeper pink or red marking and the petals toward center of flower are pointed. Mr. Wheeler states holding qualities of flowers are best he has seen on any variety. Plant: Plant growth is open and upright. Plants are very sturdy symmetrical growers. Blooms January through March. Leaves: Some leaves are odd-shaped and have a yellow margin.